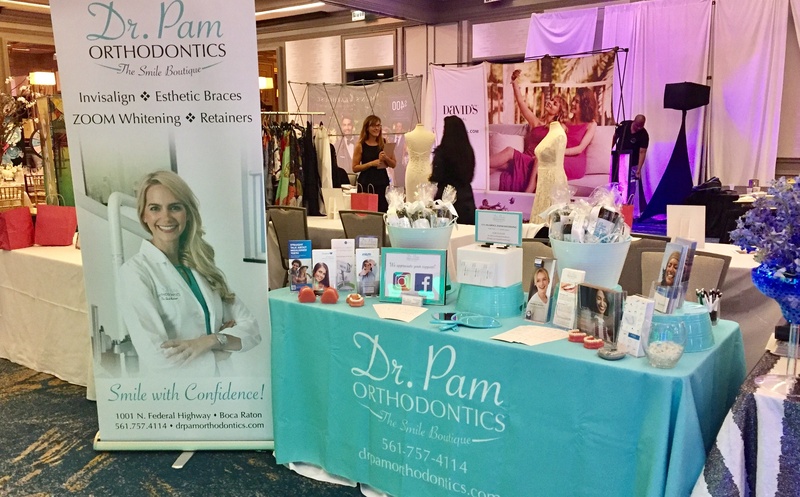 Recently, we exhibited at a Wedding Expo in Boca Raton in order to educate future brides and grooms (and the wedding party, too!) about the benefits of orthodontic treatment. We all know you want to look your absolute best on your wedding day, and a beautiful, white smile plays a huge role! While this may come as a surprise, we have patients in our practice that range from age 7 to age 70. As long as your gum tissues and bone levels are healthy, a beautiful smile is within your reach. Most adult patients who had braces in their teens remember those sayings such as “brace face,” “metal mouth,” or “railroad tracks.” With the increases in modern technology, there are so many new ways to straighten your teeth in a seemingly “invisible” way. Some of these options include: 1) Clear Braces, 2) Clear Aligners (Invisalign, etc. ), and 3) Lingual/Inside Braces. Clear aligner treatment, such as Invisalign, has advanced significantly over the past few years. Keep in mind that Invisalign is not the same across the board – it is completely customized by your Orthodontist in order to achieve the very best outcome. Have you been told you are not a candidate? Ask yourself how long ago this was and maybe it is time to re-evaluate. The most important thing to consider is that it requires excellent patient compliance and only works i f you wear the “aligner” trays as prescribed. Which option is the best for you? Our complimentary consultations are geared to educate you on the different alternatives and ultimately guide you to the treatment that fits your lifestyle best. Whether you are getting ready for your “Big Day” (Wedding Day, Graduation Day, Birthday…) or just want to smile radiantly EVERY day, we are just a phone call away! Thanks for intrnduciog a little rationality into this debate.